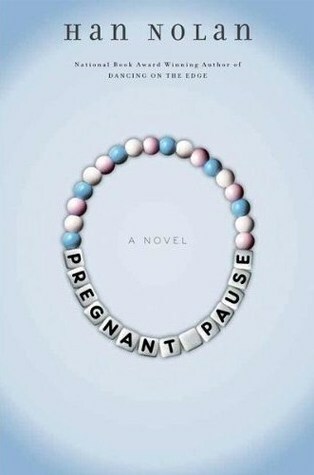 When 16-year-old Elly gets pregnant, she's convinced that she and her boyfriend can raise the baby. At least better than his parents (who want the baby for themselves) or her own older sister (who is determined to get it as well). But when she marries the father and spends the summer at a fat camp run by her in-laws, she gets an opportunity to explore her feelings about children, other men, and the choices that have ended her up where she is. And while just about everyone seems to be dead set against her, she fights every step of the way. On its face, this mash of camp story, pregnancy morality tale, and teen romance ought to not work, but it actually does. Yes, there are plenty of random story twists that pop up and get smashed down like a whack-a-mole, but the story stays together (up until the end at least -- I'm not much of a fan of the final chapter!). I'll admit that I personally wasn't always so drawn into the story, but I think it was a good one. The special sauce in this mix is Elly herself. She's whiny and self-centered, but strong-willed and surprisingly centered for someone who screws up a lot. It's hard not to respect her, even if you can't quite imagine liking her. For me, that's enough to take the story to a higher level. I did find the fighting with the adults to be awfully repetitive. Everyone pretty much says the same thing again and again. And hearing the grown-ups drone on and on about how Elly can't take care of herself (let alone a baby) started driving me as nuts as it was driving her. That sort of conflict is never resolved and it grew tiresome waiting for a breakthrough. And the ending (as I mentioned) is a bit of a cheap attempt to resolve it all at the end.